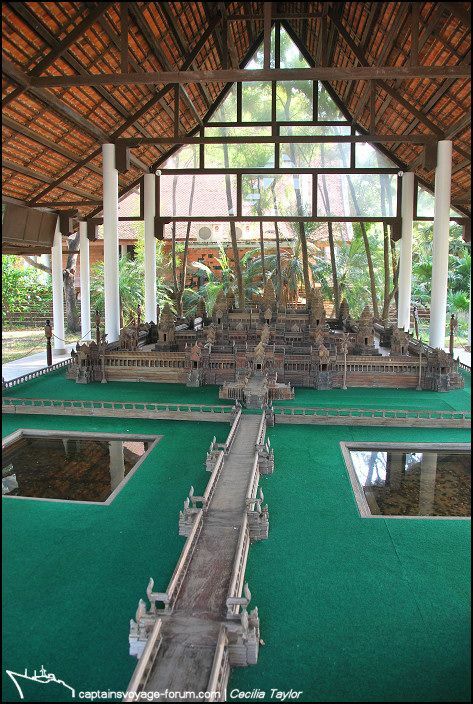 This building housed a model of the temple of Angor Wat in Cambodia. 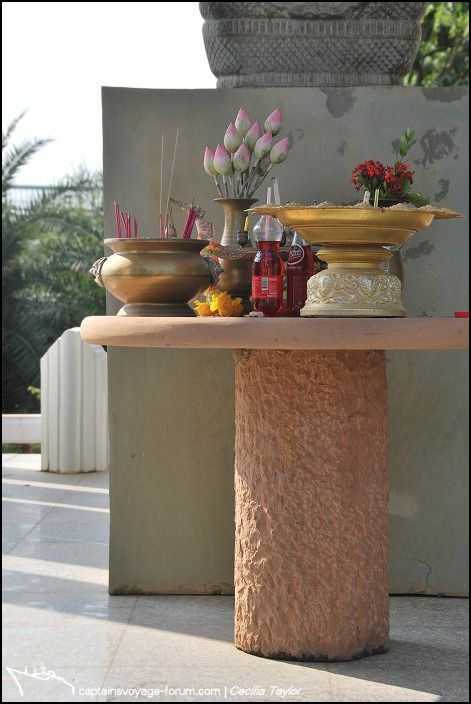 The airport also has it’s own small temple. 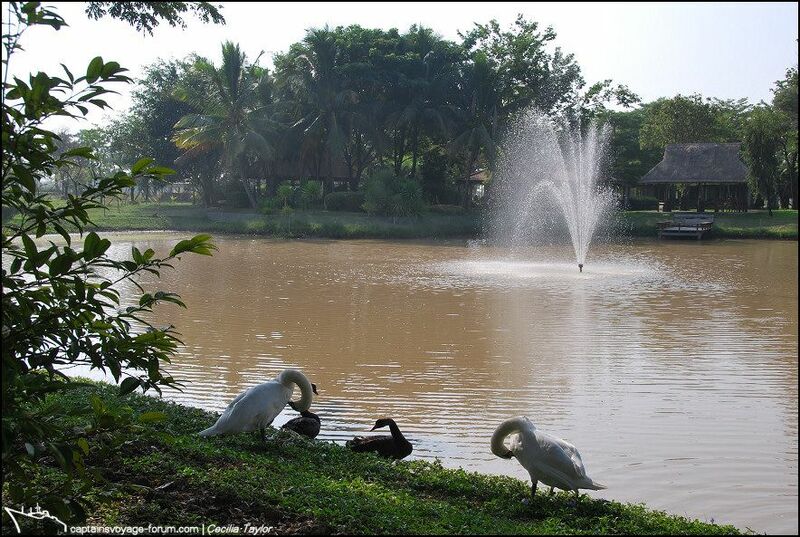 Less than five minutes drive away from the airport, and associated with it and Bangkok Airways, is the Sukhothai Heritage Resort. 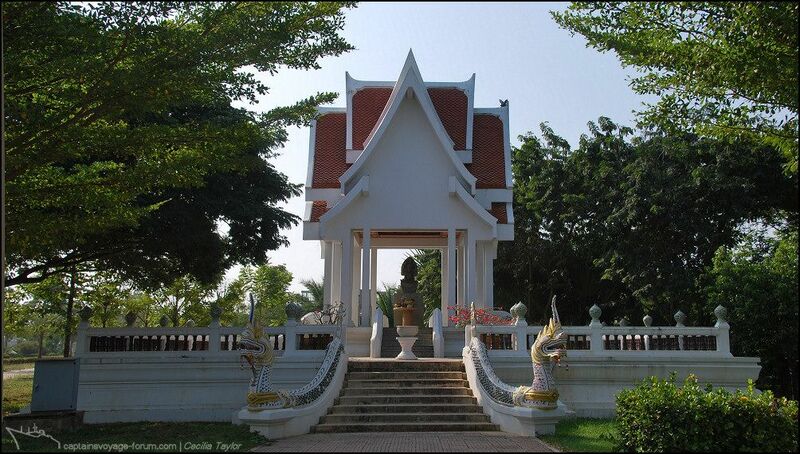 This was the hotel where I stayed overnight on my first visit to Thailand when I was travelling with an organised tour. Although included in my post in the Hotel Room Views thread on my return, it surely deserved many more photos, and I shall make a special thread in the hotel section later, adding a link here. 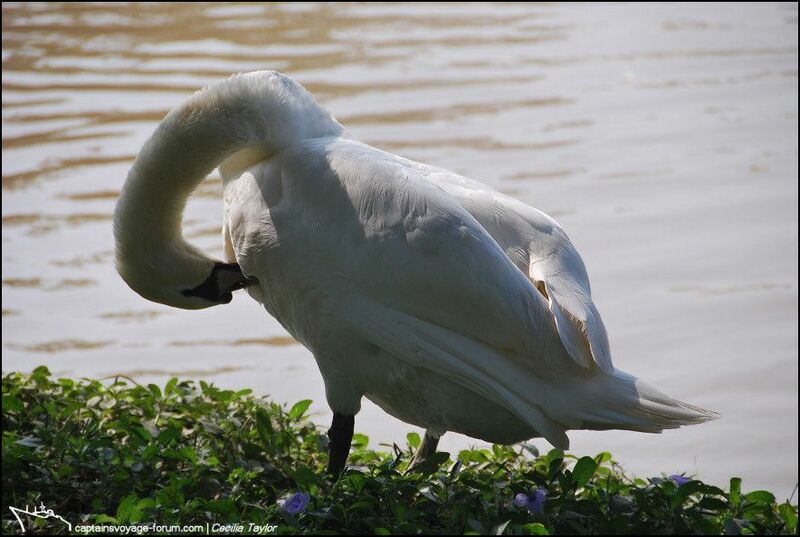 Last edited by Seagull; December 15th, 2012, 17:47. Reason: Added link to airport hotel. 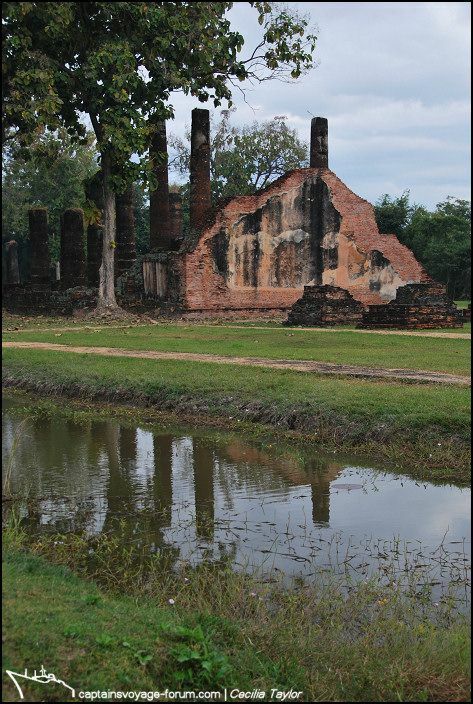 I got sidetracked in my enthusiastic posting of photos of Sukhothai Airport exactly one year on from my arrival there, so let’s return now to where I left you in post#110, where I’d just descended the hill from Wat Saphan Hin. My excellent tuk-tuk driver awaited me. I define “excellent” in this context as taking me exactly where I want to go without any “hard sell” of places of where I don’t want to go. 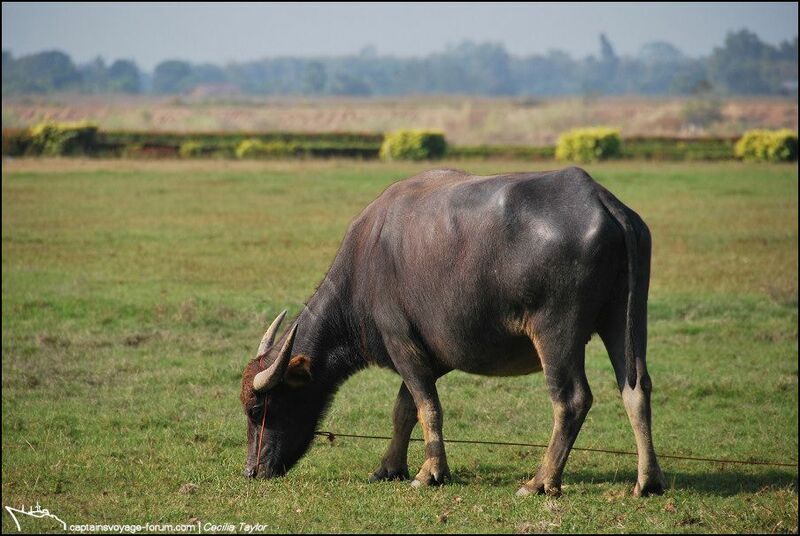 I must say that my experience generally in Thailand has been excellent, (including Bangkok taxis), though maybe it is just the un-persuadable way I look in my “I know what I’m doing” mode! Needless to say, I am happy to reward the “excellent” generously. So I decided to retain my excellent driver, and had produced a map marked with further temples that lie outside the central area of the Historical Park. 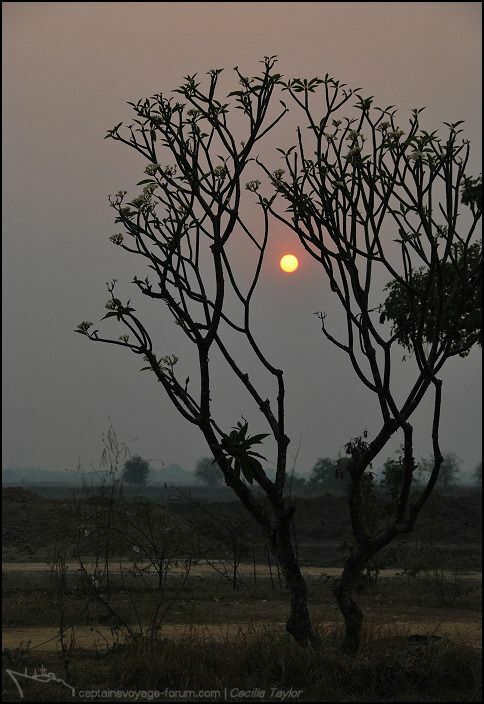 I even indicated a circuitous route –it was such a pleasant way to enjoy the rest of the afternoon. On a longer visit, hiring a bicycle and spending a day ambling around these country lanes and scattered ruins would be a nice alternative. Here I’ve marked the places I went outside the rectangle of earth embankment walls and canals of the original inner city, some which have featured earlier in this thread and others to follow. 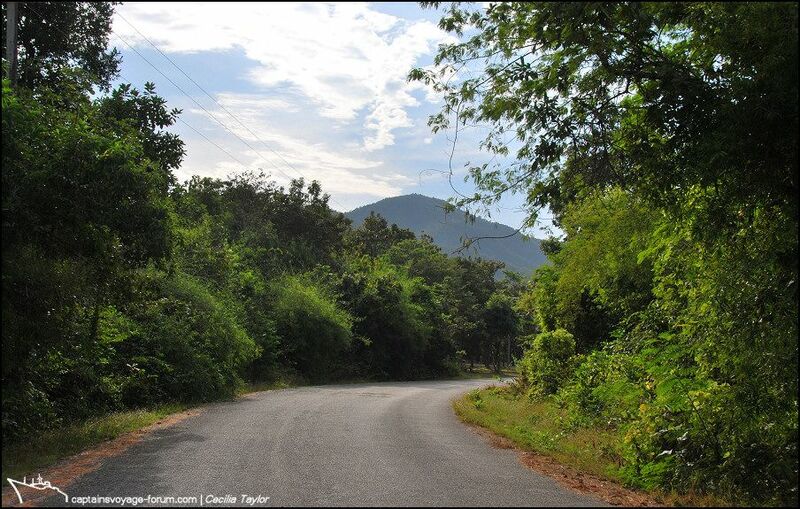 I followed the route on my iPad and even managed to take a couple of photos during the tuk-tuk ride! 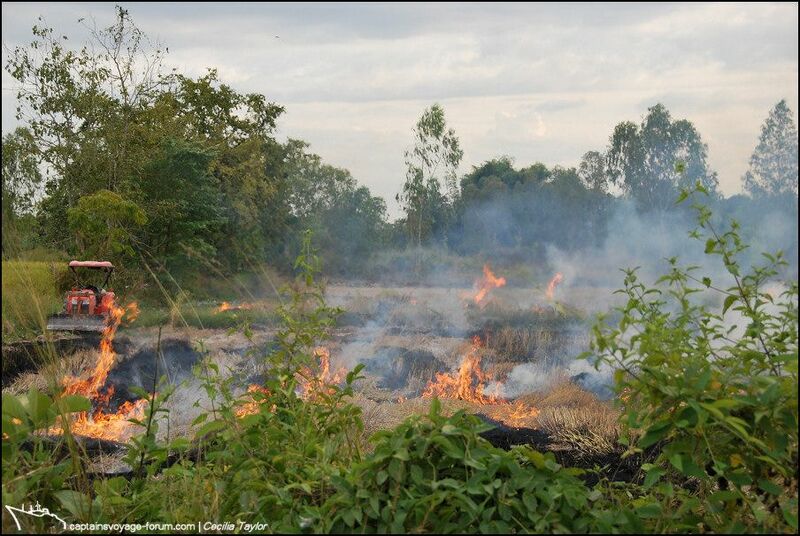 Here I passed a field where stubble was being burned. Last edited by Seagull; December 14th, 2012, 21:34. 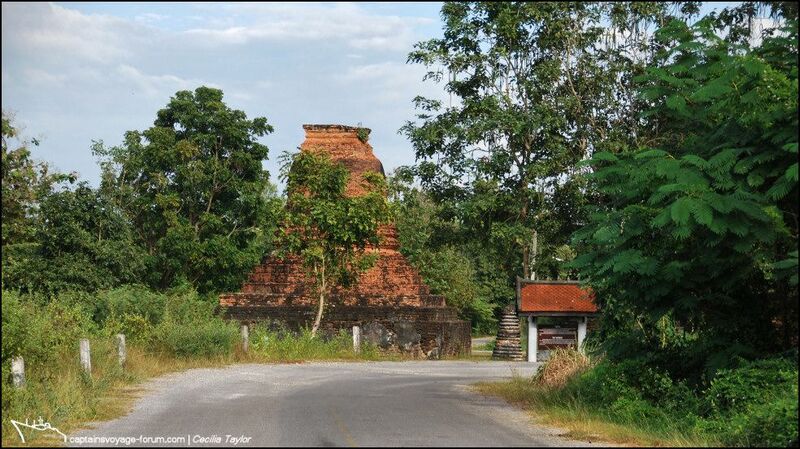 At a bend in the road, I passed the chedi of Wat Mangkorn. 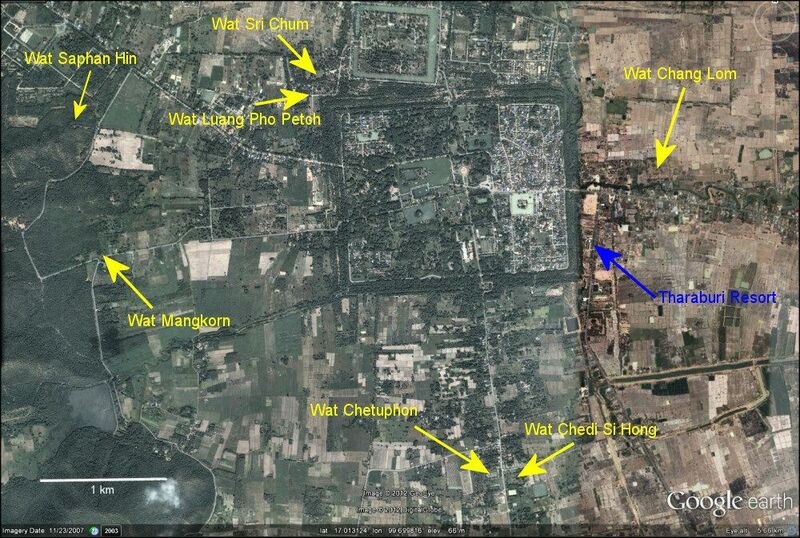 Next I’ll look out a few photos of other ruins and temples marked on the map where I stopped and spent more time. 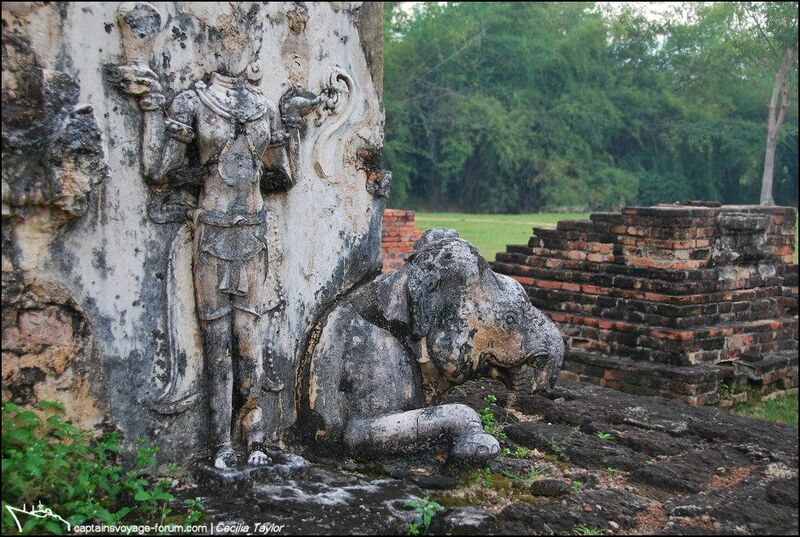 There were four huge Buddha images in different postures on each side of the brick pavilion, called a mondop. This photograph shows the walking posture, which is a more rare representation – very beautiful despite the head not having survived. 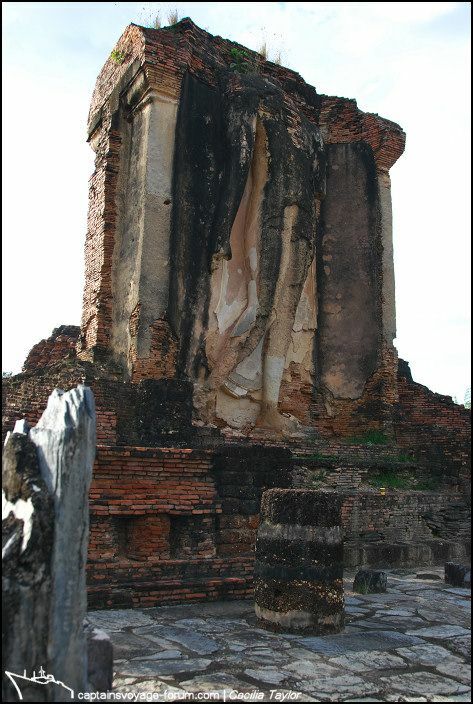 On the other side of the remains of the mondop, the Buddha image has a standing posture. The boundary wall of slabs of thick slate, like a balustrade, is said to be intended to imitate wood. 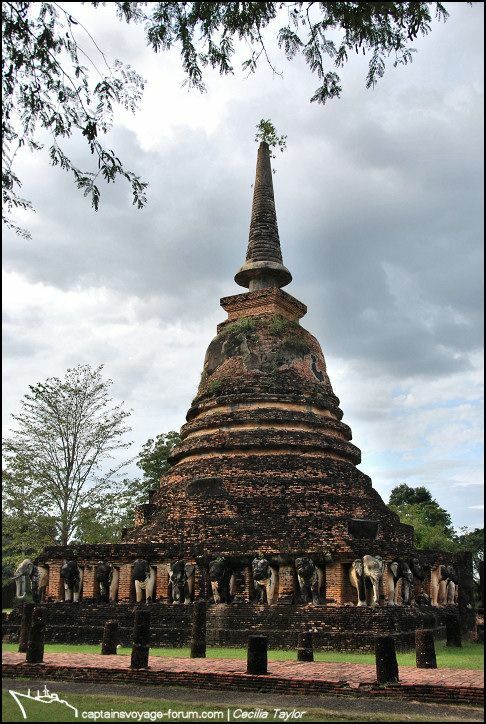 Across the road and only a short distance from Wat Chetuphon, lies Wat Chedi Si Hong. 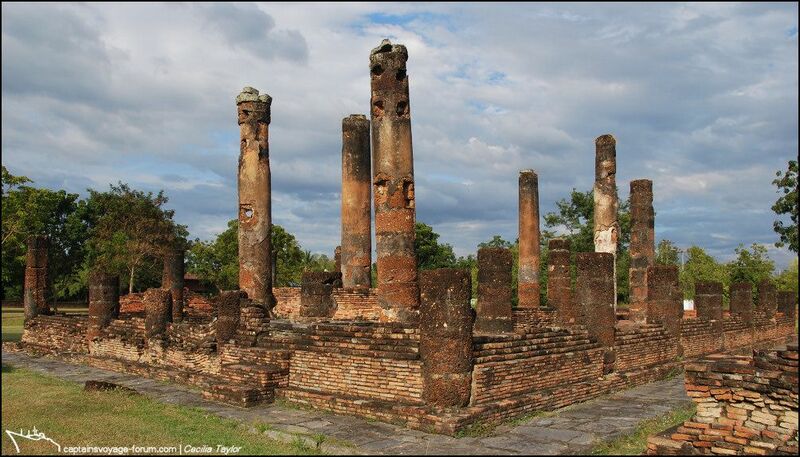 Here are the remains of an assembly hall with many large columns, and a bell-shaped chedi, as well as fragments of smaller chedis. 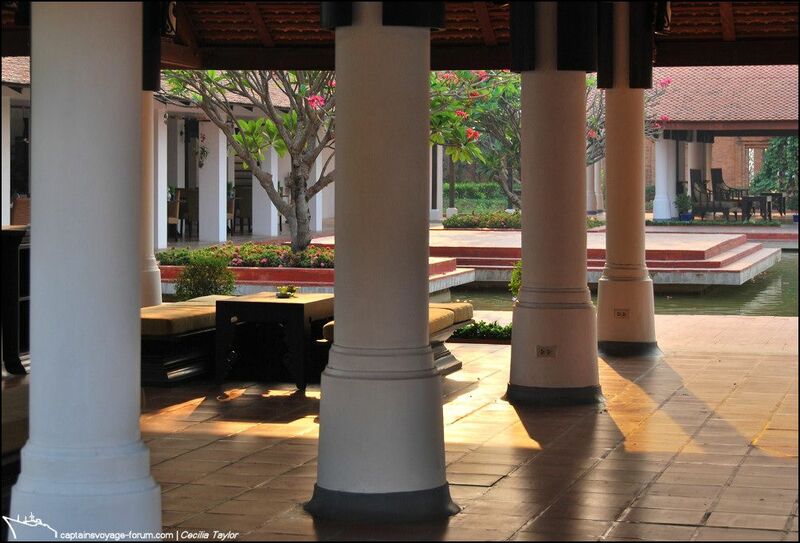 Around the base of the main chedi are decorations of lions and elephants. 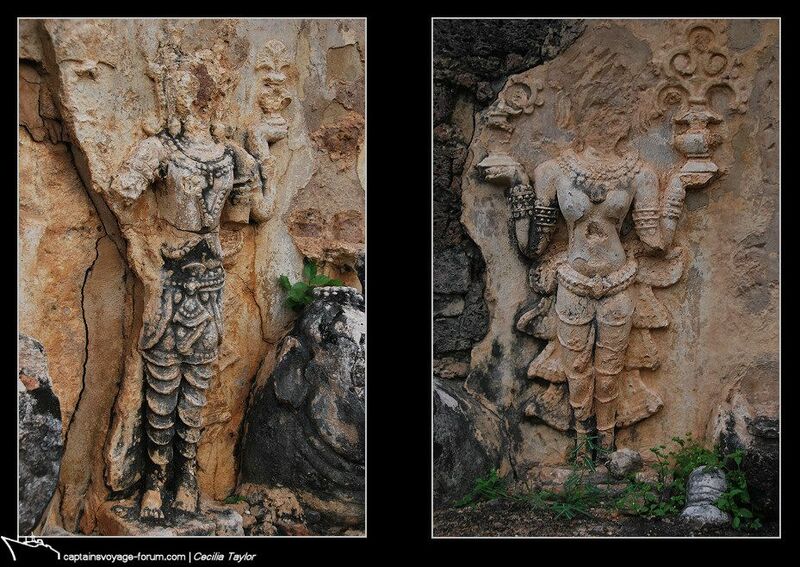 There are also stucco reliefs depicting figures which hold vases with flowers representing fertility and prosperity. 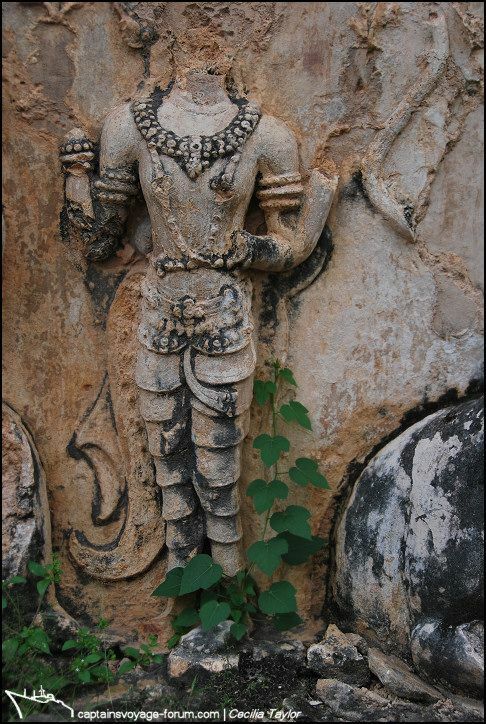 The sculptures are believed to date from the 14th century and some details suggest the influence of a Sri Lankan style. 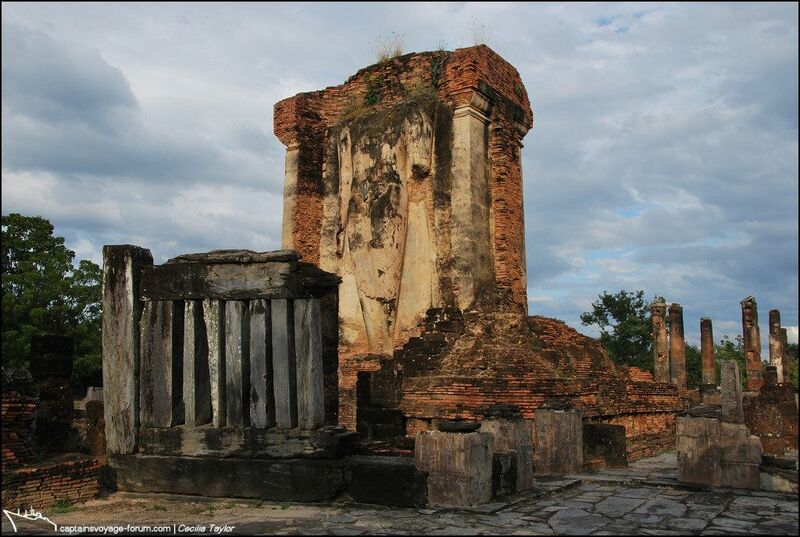 Finally that afternoon I briefly visited Wat Chang Lom which, as you can see on the map #140, is situated to the east of the old town walls. 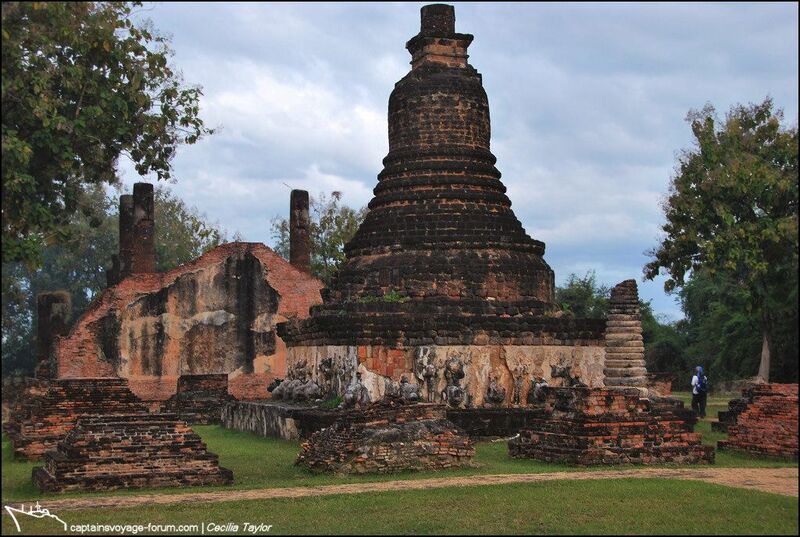 It is actually quite a large area with remains of both assembly and ordination halls, chedis, and a boundary wall and moat which surrounded the whole temple. It dates from the late 14th century.